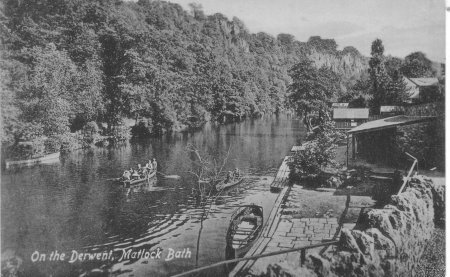 A sign says "Boats", nearby ladies chat under the trees and their fashions suggest the 1920's. A man in nautical hat rows upriver. 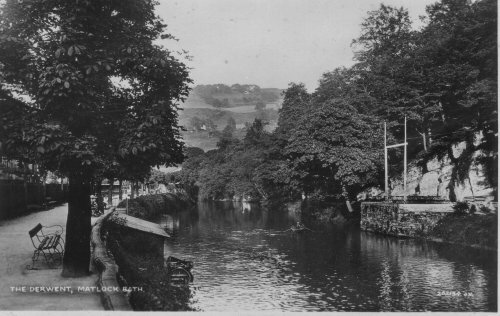 A "rugby goalpost" supports cables over the River Derwent. Lines of chairs on the other bank suggest a concert.